This title, that has taken Australian author, Dr Terry Martin BVSc, some five years to complete, aims to be the most definitive, collective work ever attempted on this intriguing and contentious subject. 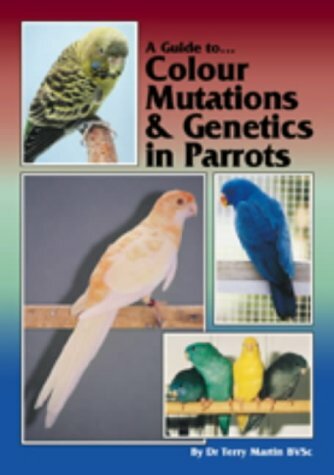 Drawing on information from specialist parrot mutation breeders from all over the world, Terry Martin has collated over 700 colour photographs within text that is both approachable and easily understood. Presented in three parts, the author takes the reader through an introduction to understanding the basic principals of mutations and colour genetics in the first two parts. Part three is for the adventurous, being the technical manifest of genetics in parrots. Over 80 species of parrot are discussed. Dr Terry Martin is an avicultural geneticist whose primary interest is colour mutations. Terry has dedicated his ongoing studies of birds in the area of genetics, pigmentation and colour mutations and is highly respected in his research field internationally.